An increase in media interest in UFOs? In response to many people proclaiming that UFOs are being "finally taken seriously" by media and that UFO stories are now "mainstream," because I've been studying the phenomenon for several decades, my intuition was that this claim was not true. 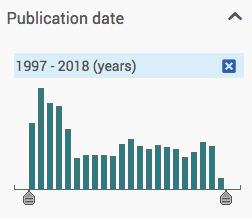 I therefore took some time to do an online search of the keyword "UFO" in an online media database, looking at both wire stories and in newspapers for the period 1997/98-2017/18 (two decades). The results show that while wire stories (in blue) about UFOs have increased during the past two decades, 2016/17 had more stories than 2017/18, so that the recent news coverage isn't higher than last year. 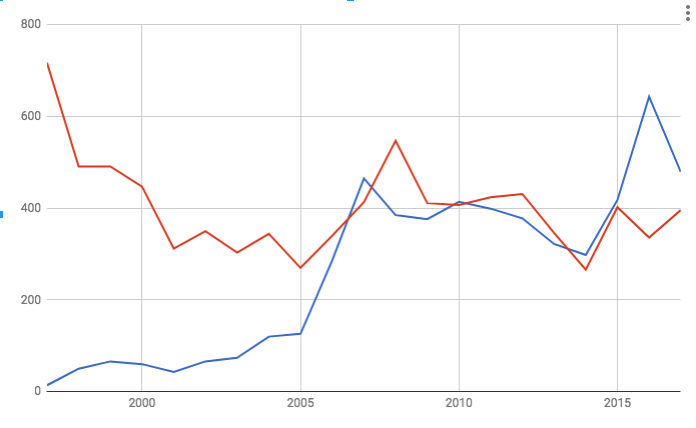 The newspaper database (in red, and the bar graph) is even more obviously at odds with the claims, as the number of newspaper stories about UFOs 20 years ago was almost double today's numbers. The view that recent UFO stories implies a surge in media interest is equivalent to media attention concerning some publicized earthquakes means that seismic activity worldwide has increased, or that a few traffic fatalities in one neighbourhood means that neighbourhood is no longer safe. Statistics show that average numbers have not increased, at least according to a very simple, "quick and dirty" count of articles. A more rigorous analysis is needed to verify this and to dig down into the media stats in more detail. How does the government handle media when it comes to inquiries about UFOs? At least, that's what we can learn directly from a series of documents in the National Archives of Canada. And it's how the government responded to media in 1965, more than 50 years ago. 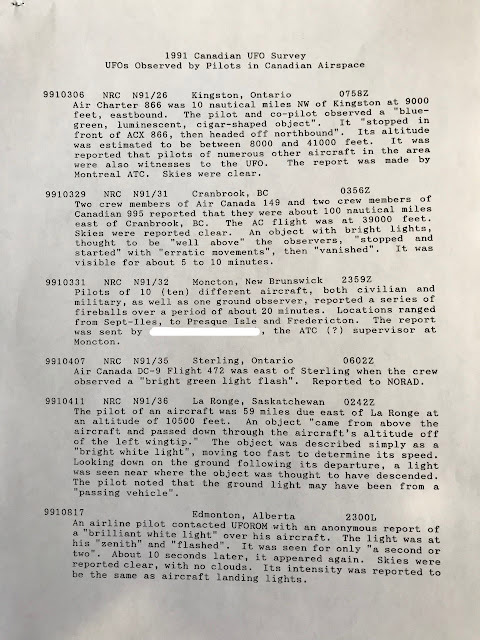 Back in 1965, the Canadian Broadcasting Corporation (CBC), like all major networks, was interested in the topic of UFOs and wanted to do a special show about the subject. So they contacted the Royal Canadian Air Force (RCAF) for information on what the RCA was doing about UFO reports. 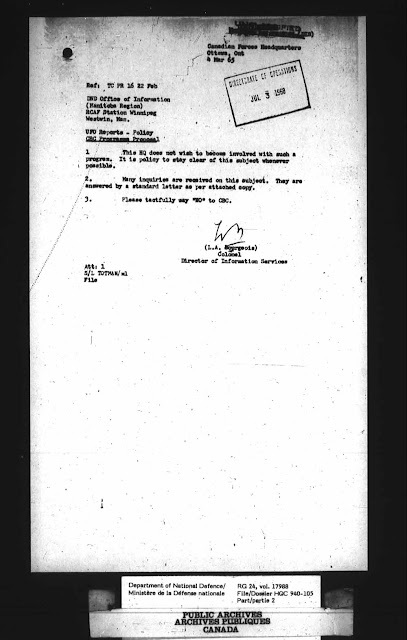 In a Confidential memo dated February 22, 1965, Canadian Air Training Command (CANAIRTRAIN) in Winnipeg, Manitoba, asked Canadian Forces Headquarters (CANFORCEHED) in Ottawa for help in replying to a request from the CBC in Winnipeg. The memo was bounced around a few offices during the next few days and was referred to the DIS on February 24, 1965. Someone named S.L. 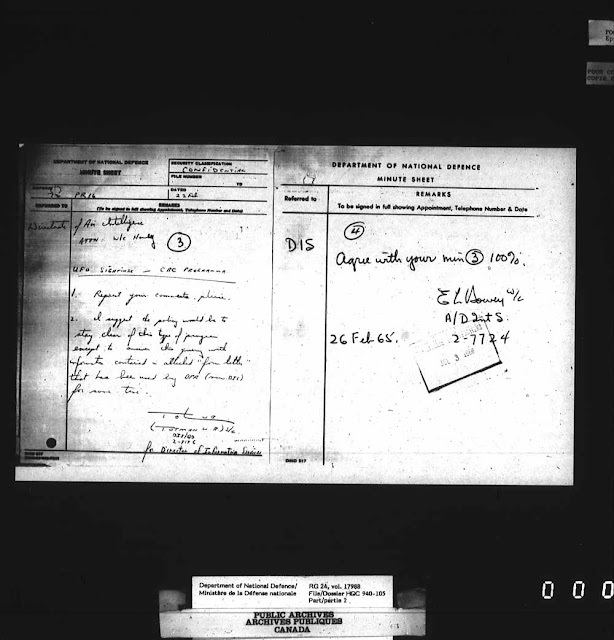 Tetreau added in handwriting: "What do we on this type of request?" Obviously, no one really knew what to do with such a request. The CBC was Canada's most-watched national TV and radio network. It was not to be treated lightly, but at the same time, what could the RCAF actually say? 1. This HQ does not wish to become involved with such a program. It is policy to stay clear of this subject whenever possible. 2. Many inquiries are received on this subject. They are answered by a standard letter as per attached copy. 3. Please tactfully say "NO" to CBC. The UFO "hot potato" was to be avoided at all costs, even to the point of sending a national broadcaster a standard form letter. "I suggest the policy would be to stay clear of this type of program except to answer the query with information contained in attached "form letter" that has been used by DPR (now DIS) for some time." Of course, this is more than staying clear of the topic. The DIS had no idea what angle the CBC was going to take with its program, and likely was going to use a comment from the RCAF to lend authority or credibility to the show. But refusing to be interviewed at all was distancing themselves from the subject completely. 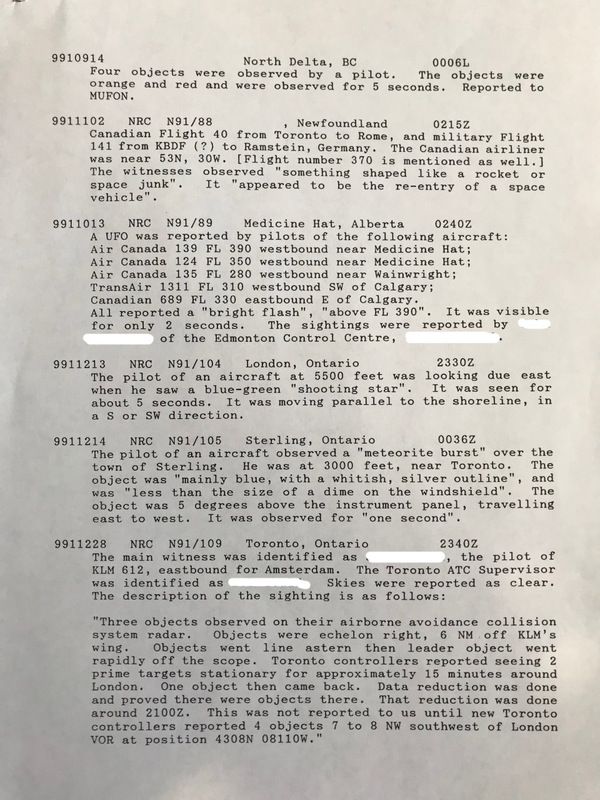 Was this because they were "covering up" the fact that alien spacecraft were hovering in Canadian skies, or because they had already decided that the subject was foolish and that witnesses were either themselves foolish or mistaken. This latter view is perhaps borne out by a few other documents from that same time. 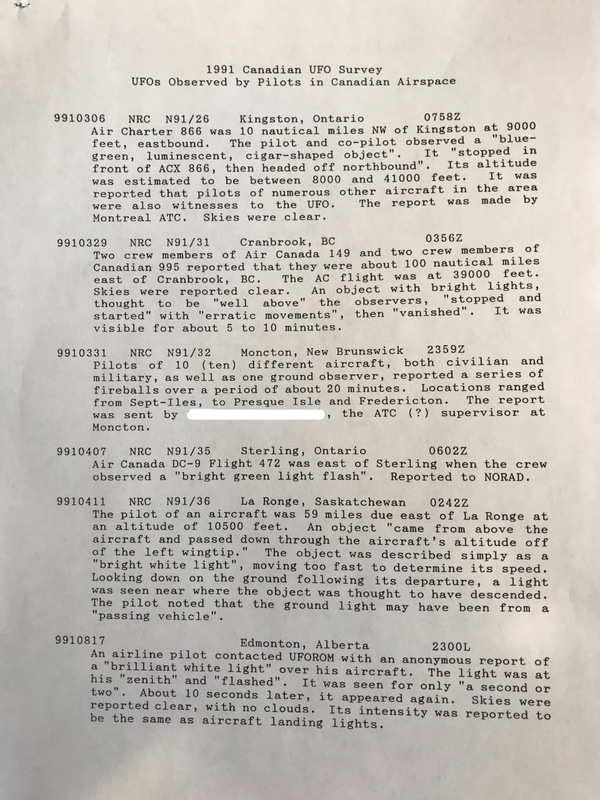 Coincidentally (or perhaps serendipitously) there was a UFO sighting on February 20, 1965, only a day or two before the CBC request. 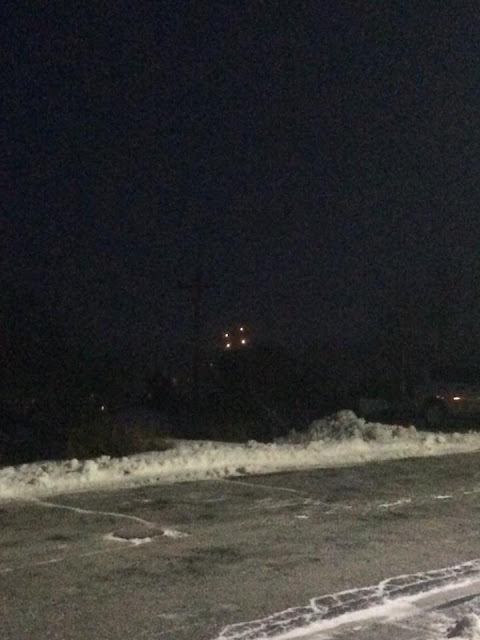 A witness in Pouce Coupe, BC, just outside of Dawson Creek, saw a bright orange light moving slowly north, apparently at a high altitude. This was at about 7:11 pm local time, and the object was observed for four to five minutes. The case was listed as a "Fireball and Meteorite Observation," even though it could not have been either. 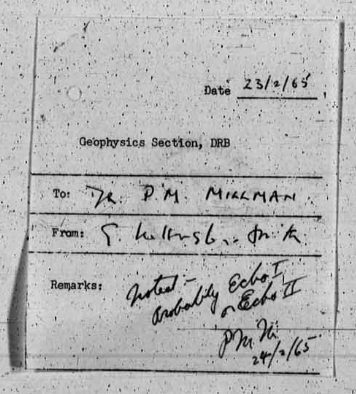 What's more relevant is a small accompanying memo, kind of a routing slip, to Dr. Peter Millman of the Geophysics Section of the Defense Research Board. Millman was later to become the chief debunker of UFO reports for the National Research Council of Canada. 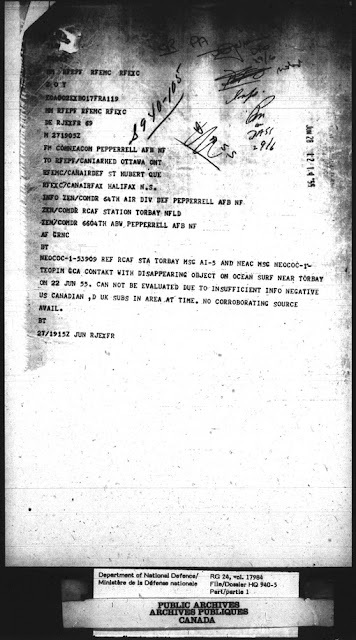 In this memo on February 23, 1965, by a writer named Smith, Millman's explanation that the UFO over Pouce Coupe was "Probably Echo I or Echo II" was noted and apparently accepted. Given that scientists such as Peter Millman were advising the RCAF that reported UFOs had simple explanations, it was not surprising that the RCAF was reluctant to go on camera or do a radio interview about a subject that, to them, had no value. One can wonder if this view of UFOs by the military has persisted, and whether the reluctance to cooperate with media is still policy. What’s going on in Nova Scotia? I just received another UFO report from Nova Scotia from last weekend, this time near St. Margaret’s Bay Road and North West Arm Drive in Halifax. A UFO was seen early Sunday morning, March 18, 2018, starting at 2:25 am. The lights were changing between white, yellow, green, blue and red. The lights changed direction and intensity frequently. The shape of object seemed to change, and the lights at times seemed to be detaching. No sounds were heard. The weather was clear, with light cloud, and the object seemed to be below the clouds. It faded away gradually and then disappeared. This was about 125 km due east and about six hours after UFOs were seen in Clementsport. The witness gave me permission to post on of the photos. 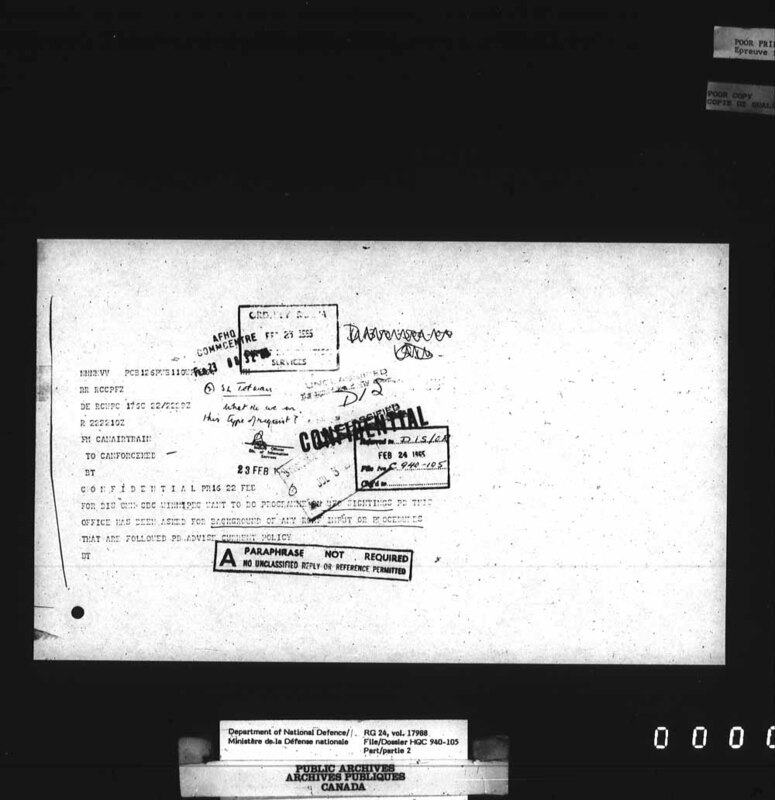 Still plugging away at the National Archives' collection of Canadian UFO docs, I came across this curiosity. It stood alone, without any additional accompanying information. It seems that something described only as a "disappearing object on ocean surf" was seen near the RCAF Station at Torbay (now the St. John's International Airport). This would place it on the easternmost point of North America, at about -52 West longitude, and closer to England than Brandon, Manitoba, Canada, which is near the middle of Canada. Anyway, sometime of June 22, 1955, an object was seen at sea, and was reported to the RCAF base at Torbay. There were no corroborating witnesses. 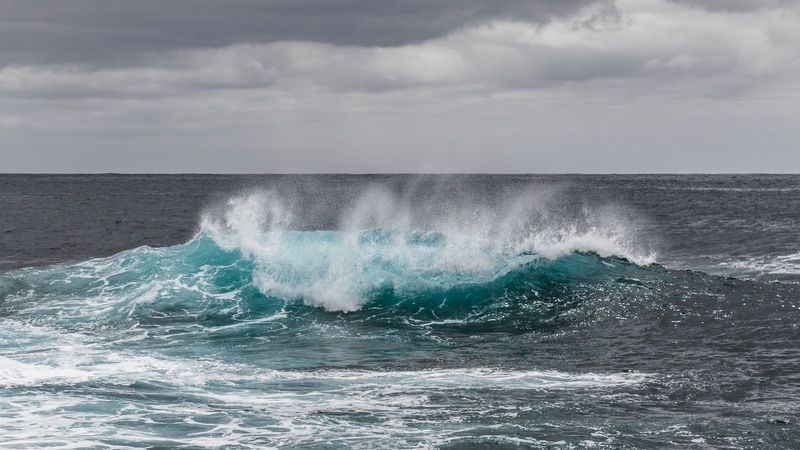 What investigation that was done only revealed that there were no American, Canadian, or British submarines in the area at the time. 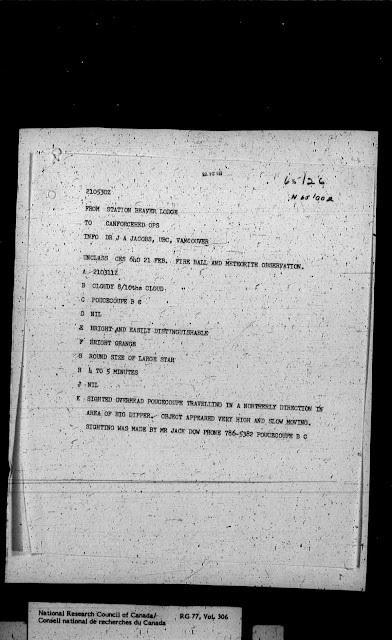 In other words, this was an official report of an USO (Unidentified Submarine Object). Only 12 years later, the infamous Shag Harbour UFO would plunge into the ocean off the coast of Nova Scotia, resulting in the Canadian Navy's underwater search for an unidentified object. In digging through my archives as I move my office, I come across some interesting things that I published or presented years ago. This gem dates from 1991, from the early days of the Canadian UFO Survey. This is a list of UFO reports by pilots, mostly from the National Research Council files, and all from the one year: 1991. 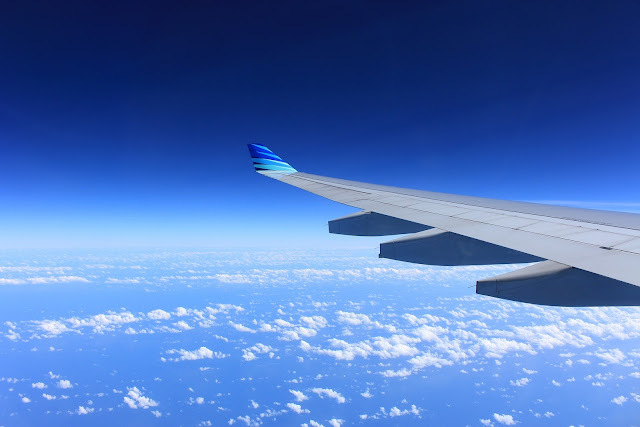 So, in the single year 1991, there were 12 UFO reports filed by pilots, but as can be seen, they involved many more than 12 aircraft. 1991 was a good year for pilots to report UFOs. Why was the "ridicule curtain" lifted during that one year? In ufology, as in other fields of study, claims are often made that some individuals embrace immediately without question, and some reject out of hand. This can come down to a critical assessment by an outside and disinterested party, or an accumulation of evidence that either overwhelmingly supports or refutes the claims. My version is called W5x5WHICH, and it’s based on the basic rule of thumb for reporters and journalists, who when confronted by a story lead, ask W5: Who? What? When? Where? And Why? Even at this level, if any one of the questions cannot be answered with some rigour, the story lead is undermined. 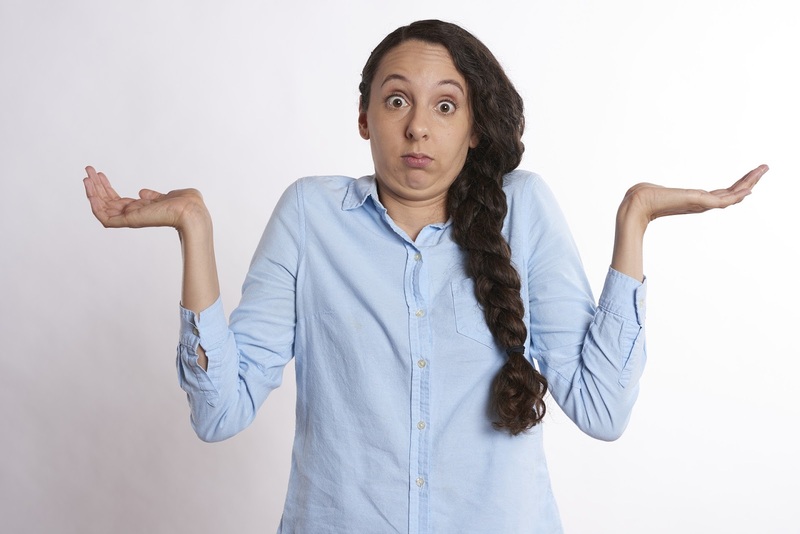 For example, if the response to: “When did this happen?” is: “Sometime in 2015,” then there might be some concern about an indeterminate date. Similarly, if the question: “Where did this happen?” is answered with: “Somewhere along the east coast,” the imprecise location may betray some kind of obfuscation. W5 is a good basis, but I have expanded it to include subsets within each one, then added additional questions that can lead to a better understanding of the issue. This is adapted from lessons learned through deconstruction and poststructural discourse in the manner of Derrida and Foucault, so that asking “Who is speaking?” allows us to gain insight into the nature of a given statement. Finally, it should be noted that simply asking questions about a claim is not what is known as debunking. In ufology, the latter is when a claim is considered “bunk” without a detailed examination of evidence for the claim or allowing due process of examination through investigation. Asking questions is how we begin to understand. …has looked at this evidence already? …is objective in this instance? …is subjective about this claim? …exactly do we know for sure? …was this first presented to the public? …will more details be made available? …will this be published in a peer-reviewed journal? …was the witness at the time? …can this evidence be examined by an outside reviewer? …is this claimed to be an anomaly? …is this not a mundane object? …should this claim be believed? …should this claim be rejected? …is this being presented now? …is the best explanation for the anomaly? …is a poor explanation for the anomaly? …do we know the evidence is good? …do we know the witness is reliable? …there competing or alternate explanations for the anomaly? …there complete provenance for any evidence presented? …the witness(es) be fabricating the story? …is being demanded for accessing the evidence? …is required to independently assess the claim?